Who is Skye going to become? From the very beginning, Marvel's Agents of Shield focused on the character Skye. It seems clear with her mysterious past and 084 status she is meant to be more than a simple computer hacker. Based off of the serum GH325 and its origins (See Post what is GH325) I am leaning toward Skye being Abigail Brand, Mantis or potentially an Inhuman. One key thing is that she reacted differently to the GH325 than did Caulson. Potentially, this is because she already shared some of its DNA? This leads me to believe that she was an 084 because she is at least partially an alien. This would lead to her being Mantis, Ms Marvel, or Abigail Brand. 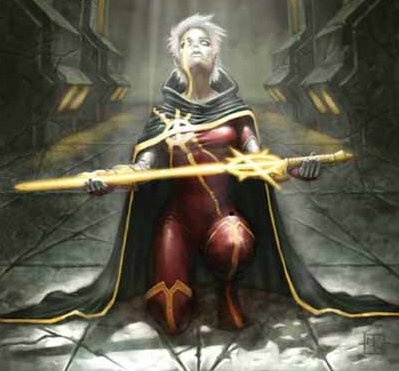 Phyla Vel - Who is Phyla Vel? Abigail Brand Who is Abigail Brand? Skye? Sage - Who is Sage? Mantis See post --> Who is Mantis? If Caulson is Mar Vel then Skye could be Phyla Vel his daughter. Her Kree physiology would explain why she reacted differently than he did to the serum. Phyla Vel would be already very powerful though. She is not a human/Kree hybrid where her powers would lay dormant and be hidden like potentially Mantis/ Abigail Brand. Skye shares many many similarities with Mantis who is also a member of the Guardians of the Galaxy in the recent comic books. Sage has a similar look and similar powers/expertise to Skye. Could Skye be Sage? Ms Marvel has Kree origins. If GH 325 is a Kree then there is chance Skye is likely Ms Marvel. The only problem with this is that Carol Danvers receives the Kree DNA from the Captain Marvel in an explosion accident. She is not born an 084 (Object of unknown origin) alien special person as Skye apparently is. Due to how Skye reacted less violently to the serum than Caulson it seems that she shares some kind of blood relation to the alien the serum was based on. Ms Marvel does not have this kind of blood relation. Ms Marvel also has no connections to China where Skye was found as a baby. 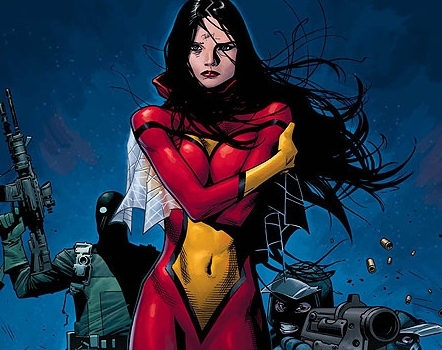 Jessica Drew also known as Spiderwoman seems to be one of the top theories at the moment lets analyze reasons why. Jessica Drew fits into the spy/Shield/Hydra world. She has a pheromone power that makes men act weird. So far it seems as though most of the men have acted weird toward Skye at one point or another. However, this could be that she is just hot plus up until recently not trust worthy. Skye was shot and appears that she will be revived by a serum. Jessica Drew was also brought back a serum. Granted Jessica Drew gets Uranium poisoning and Skye was shot. Superhuman Speed stamina, agility, reflexes, strength, smell, hearing, injury resistance. Immune to almost all poisons, toxins, radiation. Well Jessica Drew has pretty cool powers, which could be fun to see on TV. She is also connected with a variety of interesting characters. One interesting question is will the High Evolutionary be brought into the show in some way. In her initial origin the High Evolutionary was deeply involved with giving her powers and raising her. It should be noted that the High Evolutionary is one of the few characters in the Marvel universe who truly possess a power of Clairvoyance. This could lead some credence to the thought that the High Evolutionary is the Clairvoyant. This theory actually has some things going for it. 1) Abigail Brand works for Shield, and so does Skye. 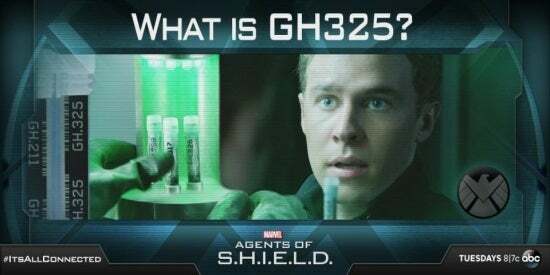 2)The serum GH 325 that brought Caulson back to life and will likely bring Skye back to life is Green and so is Abigail Brand's hair. 3)Abigail Brand actually gets her green hair from an alien father who has green fur. Skye is an 084 and could very well be an alien's offspring. 4) Abigail brand is also half mutant that gives pyrokinetic powers. While, this has not been shown in the show it could also have given Skye her 084 designation. 5) Abigail Brand was created by Joss Whedon in Astonishing X-men, the Whedon's like her. The fact that he created her also gives him some liberties of changing her to fit into TV. Things to look for. Any sign of pyrokinesis would be a sure sign. Abigail Brand has a tattoo of the words/names(Grace and Anna) has on each bicep. 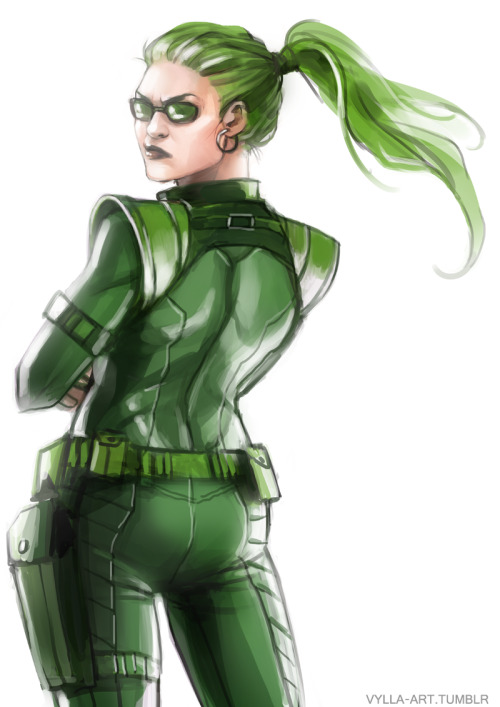 She also has a brother who is green and fury. Is Skye a long lost member of the Inhuman Royal Family? Possibly if alien that is T.A.H.I.T.I. (See the GH325 post) is an Inhuman then she is likely of the same origin. Nothing has been revealed yet about the Inhumans in the cinematic universe so it is hard to speculate on which exact character of the Inhumans she would be. 1) The serum used to bring her back to life is green. 2) The serum is GH325 could that stand for Gammatized Hemoglobin. Gamma rays being what created hulk and Hemoglobin as in Blood. Essentially, Hulk blood. 4) She hulk is Banner's cousin in the comic books. She is given a blood transfusion of Hulk blood (gamma irradiated blood) that gives her a milder form of Hulks powers. She holds onto her personality and intelligence when she transforms. 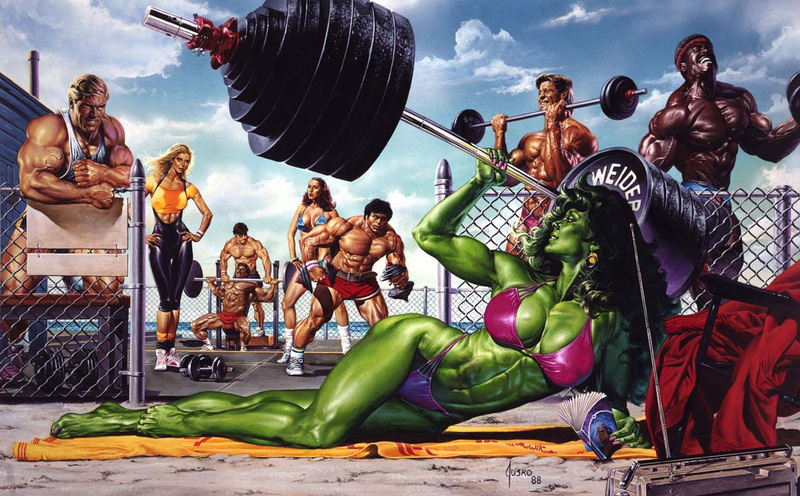 After watching the TAHITI episode I do not believe Skye will become she Hulk. The origins of GH325 appear extraterrestrial and not Gamma based. GH seems to reference Guest House which is the facility that houses the extraterrestrial remains. For more on this see What is GH 325? Perhaps Skye will become the shoveler or prankster or Snow Shoveling Car Prankster. You think I am being silly but look I have evidence! "After her mother was struck with a beam of radiation containing the DNA of several different types of spiders while she was in-utero, Jessica Drew developed superhuman powers patterned after several different types of spiders when she was born. Jessica is superhumanly strong and is able to lift around seven tons at her peak. She also possesses superhuman speed, stamina, agility, and reflexes. Jessica's body is more resistant to injury than an ordinary person, allowing her to take far more physical punishment compared to an ordinary human. Jessica also possesses superhuman hearing and smell, the latter of which allowed her to distinguish a life model decoy from the real Nick Fury. [volume & issue needed] Jessica's palms and soles secrete a special fluid that allows her to cling to solid objects, like a true spider. Jessica's physical makeup also makes her highly resistant to all terrestrial poisons, toxins, and completely immune to radiation. While she is typically rendered dizzy by the initial dose, she is completely immune to it after being exposed again. She also exudes a high concentration of pheromones that elicit pleasure and attraction in men and revulsion in women, although she typically uses a chemical "perfume" that renders these pheromones inert. Jessica's body also produces an inordinate amount of bio-energy, which she can discharge from her hands. She refers to these discharges as "venom blasts" although they actually have nothing to do with poison and typically cause pain and unconsciousness, and Jessica can kill a man in the same way that a lightning bolt would and can pierce solid metals like steel by using her blasts at their greatest intensity. Jessica was also able to glide through unknown means using the web-like extensions of her costume, but seems to have gained the power to fly after being replaced by the Skrull Queen Veranke. Jessica has lost her powers in numerous ways and on several occasions, but after returning to Earth at the end of the Secret Invasion, Jessica's powers were restored and are greater than ever. In addition to her powers, she is also a superb hand to hand fighter, and has trained in several styles of fighting including boxing, judo, karate, and capoeira, learned under the training of the Taskmaster. She has also had training in fencing and the use of many other weapons. Jessica was trained by HYDRA (and later on by S.H.I.E.L.D.) in covert operations, stealth, espionage, and information gathering and is a superb athlete. She speaks several foreign languages, including Korean, Russian, French, Spanish, Portuguese, and German. Jessica also received vocational training in undercover detective work and sometimes carried a Walther PPK handgun. Hmm... so if Skye's really Jessica Drew, Skye being item 084 could be a result of serum/radiation testing on her while in the womb, then as a child she has a freak-out that kills over a hundred people or whatever it was (mentioned a few episodes ago) and she was taken in by SHIELD, her handler was the woman with the head-wound in the pics Skye was shown of her "mother"... so who knows what being put in that same container/tank Deathlok emerged from could do to her... crazy powers emerging? Whoa.